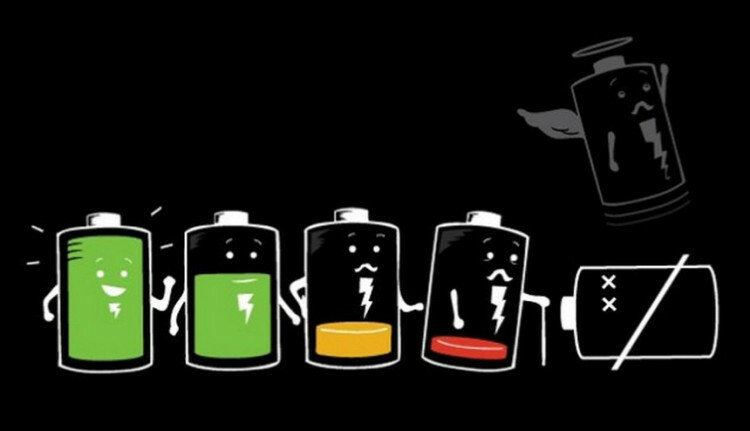 5 Ways to Improve Your Mobile Phone and Tablet's Battery Life! Home » Featured Content » 5 Ways to Improve Your Mobile Phone and Tablet’s Battery Life! 5 Ways to Improve Your Mobile Phone and Tablet’s Battery Life! The one problem shared by all mobile phones is that at one time or another, we’re faced with the dreaded ‘low battery’ beep before our link to all our friends and family completely dies at an inappropriate time. One of the Main Battery drains is the amount of times that your Handset has to connect online (especially using Mobile Networks) and with most smartphones the default Email setting checks for new mail at 15 minute intervals, or in some cases set to push. This may be handy for work, but is more of a nuisance on weekends and holidays. Reducing the amount of times your phone automatically looks for new emails leaves you with more power to actually be able to respond to them. You can still manually check for new emails if you’re expecting something important to come through from work or your partner, but turning this down to a bigger interval will save you loads of battery. Similar to changing your email settings, if you can stay off of your smartphones Mobile Data connection (GPRS, HSDPA, 4G etc) then you can save a whole load of your Batteries precious life. Modern day Wi-Fi connections are a much more low power way of keeping your phone connected to the world, so if you are in a safe place on a regular basis, get the Wifi password and jump online via the airways. On the flip side of this, if you don’t need your Bluetooth or GPS connection at every moment of every day then turn them off. They will operate as a battery drain when connected. Locations will constantly log your whereabouts, forcing the phone to connect on-line and making your processors work hard. Direct sunshine or putting your mobile in your car’s glove compartment on a Summer’s day will cause your the battery life of your phone to drop sharply. Keep your phone on you when you pop into the shops and you’ve easily saved some power while paying for petrol and picking up a pint of milk. You should store your phone in conditions between -20° C and 45° C. The optimal environment for both usage and storage is at room temperature: 22° C.
As a side note, if your phone or tablet is heating up, that’s a warning sign that your handset is using a lot of processes and will blast through its battery. So put Temple Run down for 20 minutes, let the phone cool off and pick it up later on. A vibration alert for calls, messages or alarms requires a physical process to drive it, which (logically) uses up power. By being a bit more selective about when your phone needs to do a dance around your desk, you can save more battery life. If your phone vibrates every time you type, then turn it off in the Notifications settings, minimising the rumble will save a precious few minutes. And now onto the daddy of all battery usage, Screen brightness. The Screen on your gadget will be hands down the most energy sapping feature of your technology! In simple terms: less light means less power consumption. It’s really only going to be in the full glare of the sun that you would require your devices brightness to be set to full, so take it down a notch and you’ll be surprised at how easily you can still read a text from mum. Additionally, most modern handsets have an Auto brightness mode that will do some of the adjusting for you, if you go to a dim room it’ll turn the brightness down, but outside the brightness will go up! As an added bonus, we would also suggest checking out your phones battery and power management options. In these setting you can see just what is using your Battery up the most, and then try and make your won changes to expand your battery life. All of these ideas are easy to implement in any handset, it will usually just be a matter of hunting around in your ‘settings’ section to lower your handset’s overall power consumption, which is great for enviro-creds and will save you money in the long run.